International President Bob Martinez announced the appointment of Juan Negron to the position of Chief of Staff for the Eastern Territory, effective August 1, 2017. 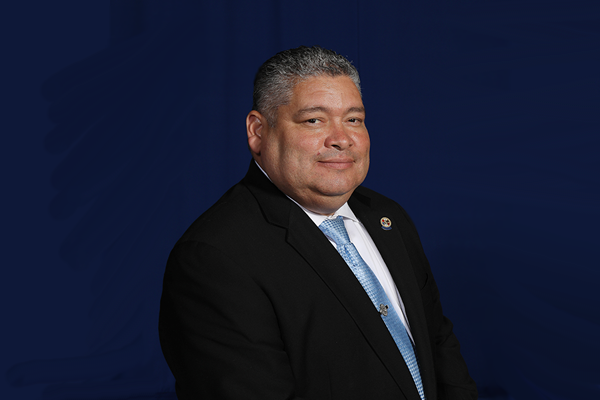 Negron, a 30-year member of the IAM was the Directing Business Representative of District 15, prior to joining the staff. Negron earned a bachelor’s degree in labor studies and administration from the National Labor College. He has served in many leadership roles within the IAM and his community, which includes being the lead political organizer in New Jersey for the union. He continues to serve, most notably, as a member of the Executive Board of the New Jersey State AFL-CIO. Negron’s appointment follows the departure of Jim Conigliaro, Jr. to fill the duties of President of the Independent Drivers Guild (IDG), an IAM-affiliated organization he launched in 2016 in response to the pleas of for-hire vehicle drivers. Dominic Taibbi will take over as District 15 Directing Business Representative. An IAM member since 1984, Taibbi served in many leadership roles before becoming a District 15 Business Representative and Local 434 Business Manager in 2004. In January 2017, Dominic was appointed as the District 15 Assistant Directing Business Representative.